When we think about setting up our rooms, we usually think of classroom design. However, there is more to consider! The design as well as the materials and other items in the classroom will determine how comfortable your students and families are and how productive you are! In addition, the layout of your classroom can decrease--or increase-- negative behavior in the classroom! 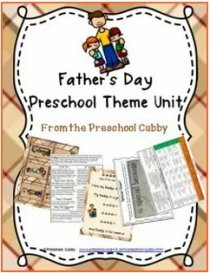 The preschool classroom should be set up with the goal of letting children know where materials go, however, the set up should not limit what can be done in each area (yes, it's okay to use the blocks in the dramatic play center! When setting up your classroom you will also need to consider health and safety. Let's Talk Intended Use of Space in your Classroom Design! When determining your classroom design, think about how each interest center is used and, therefore, the activity level that may occur in each center. The reason for determining this is to ensure that you do not put a center that is active and, at times, loud (like your dramatic play area) next to your library area where the children are trying to listen to a story or next to your computer where the children need to hear the instructions coming from the speakers. This is not to say that blocks can ONLY be used in the Block Center. The purpose of defined areas is to know where the materials are housed/stored. Once you have determined which areas to keep away from each other, draw it out on paper. How does it look to you? Is there a natural flow from interest center to interest center and throughout the classroom? Signs That It's Time to Re-Arrange! Too much open space in your classroom may look like a runway to your children that just screams "RUN HERE! RUN HERE!" DON’T BE AFRAID TO CHANGE THE CLASSROOM DESIGN-OFTEN! Yes, children like consistency, but change is not taboo! When we have made changes to our environment, we talk with the kids about it right away! One of their favorite circle time activities has been when the teacher asked them, “Does anyone notice anything different about our room today?”. Too much running in classroom: This is a sign that areas of your classroom just scream "RUN HERE! RUN HERE! to the children. 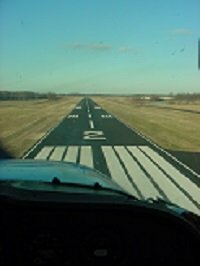 You may need to reduce your "runway" space by either modifying that area or adding something in the middle. You could add a table for playdough or puzzles. The Library has become an extension of your dramatic play area: Is your library located near your dramatic play area? If so, the children may naturally use your library as an extension area of play. If you expect your library to be a quiet area, it is important to locate it near other quiet learning centers. Also, do you use your library as circle time? If so, the children have "learned" that this is a place where we sing, dance and move around a lot! We change or modify our room design often. Dramatic Play moves from one end of the room to the other about once a month! Your classroom design will largely be determined by the amount of space you have, where the windows and doors are located and the type of flooring you have in each area. Most classrooms are organized around Interest Learning Centers. We will talk more about each specific learning center and where the best space for each center is in your classroom. The Art Center, Easel and Sand/Water Table are potentially “messy” activities. These are best set up on flooring rather than on a carpeted area. The Dramatic Play area can be anywhere in your classroom as can your math/manipulatives area and your Computer, if you have one. A Science/Discovery area would be best placed near a window to allow light for plants to grow, to use for light to use prisms and make rainbows, etc. Now, let’s talk about some general considerations for each interest learning center. 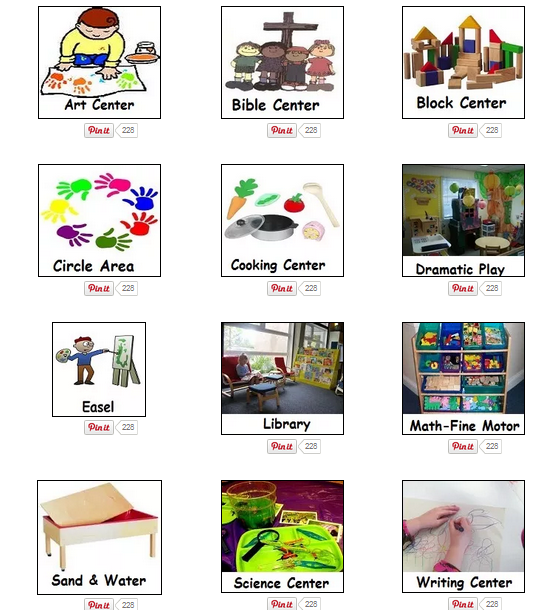 Do you have your Interest Learning Centers labeled? Picture labels help your children to know what happens where! 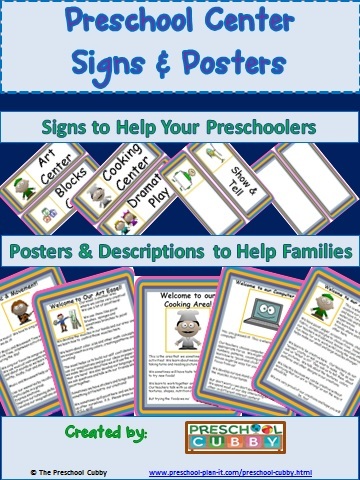 Posters help your families to know what happens in each center! I created this packet specifically for these purposes! 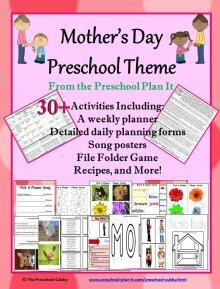 This preschool packet includes 14 Interest Center Posters and 22 Interest Center Label Signs for your classroom! 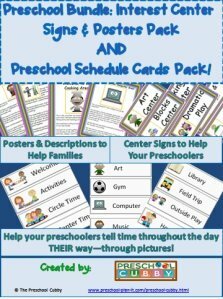 I use Center Signs all year long and Center Posters at the beginning of the year, at open house, at parent conference time or any time families will be spending time in the classroom! 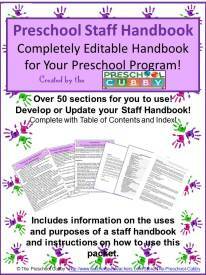 Click here for more information on this packet! I have articles about each specific Interest Learning Center! 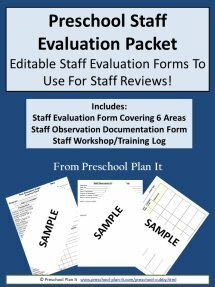 Each article gives details about that specific interest center including how to set it up, materials to have and the teacher's role in each center! Click any image below for detailed information about each Interest Learning Center! Books I LOVE to Help with this part of Classroom Design! The following two books are go to books for me when considering classroom design! Another consideration when looking at your classroom design is health and safety with regard to materials. 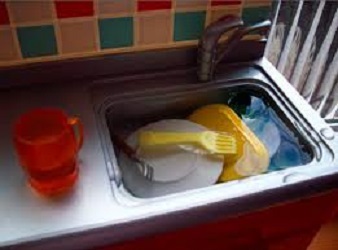 You should have a cleaning/sanitizing schedule in place for your materials. You also need to check for toy safety recalls. The following articles will go into more detail on each of these areas. Set up a toy and material cleaning schedule for your classroom. Have some of your preschool toys been recalled for safety reasons? 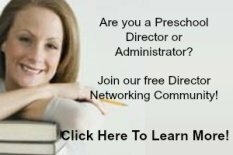 Many times you will have substitutes, parents or classroom volunteers in the classroom. They can be a huge help in keeping your space organized, sure, however, you need to be sure that your room is inviting to all who use the space - including yourself! In addition to the people who use the space, you'll need to consider temperature and care of your classroom pet, if you have one! They are fun, and some take more work than others! Click here to read my page all about classroom pets!